YouTube’s Fredrik Larsson, who you may remember from his Mega Man 9 rock medley, has put together an amazing rendition of the title theme from Wind Waker. 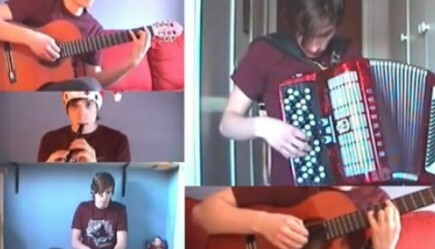 He did it on his own, playing each and every instrument and editing the sound together himself. Impressive work, Freddy, you couldn’t have given us a cooler christmas gift.